Discover the world of CRM at a click of a Button! Data Extractor Pro 5 is a powerful CRM tool. 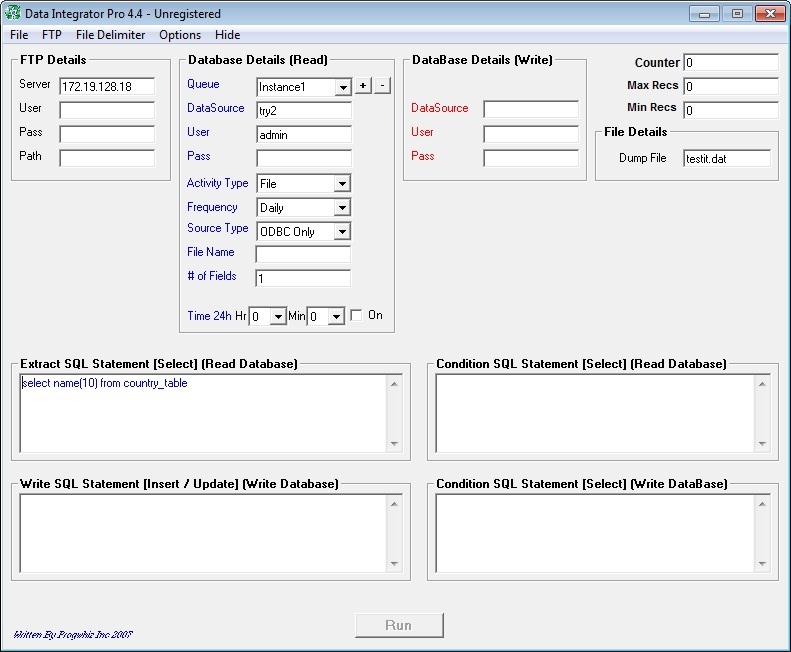 he interface has functionality to integrate numerous Data Bases to consolidate in a file or in a Table. The Tool has a customised version of SQL syntanx to allow easy manipulation of the file formats produced, with respect to spacing and delimiter type. All functions are GUI and affords the user the power of a System and DataBase Administrator without the coding requirements. Download and Try it for free. Download and Try Data Extractor Pro Today! Ability to customise the format of the Flat file (Delimiters/Spacing).